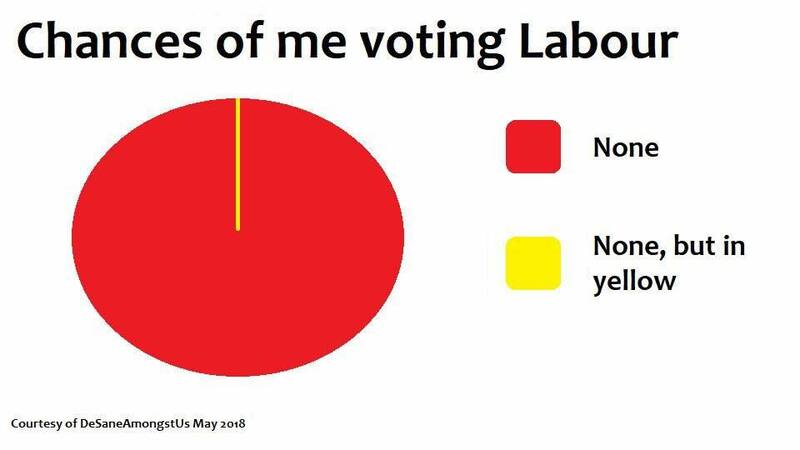 Ilford South has a different demographic make up from Ilford North Your Grace with mostly people of Asian ethnicity many of whom vote Labour because Mike Gapes helps them with immigration problems such as gaining permission for family members in the sub continent to come here. 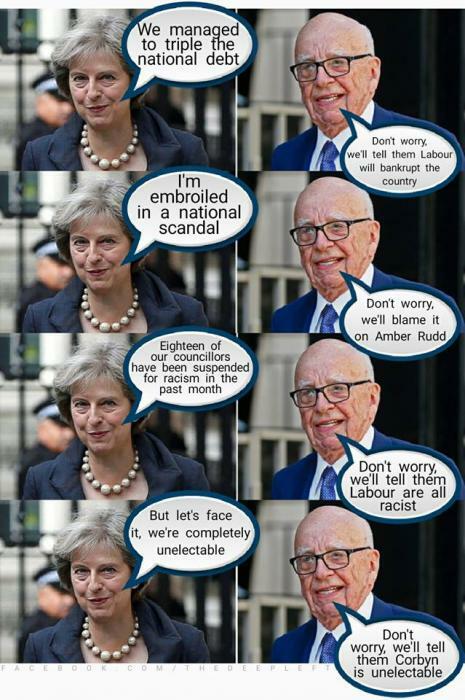 The first evidence of Russian attempts to influence the result of the general election by promoting the Labour leader, Jeremy Corbyn, has emerged in a ground-breaking investigation into social media by this newspaper. Our research, in conjunction with Swansea University, discovered that 6,500 Russian Twitter accounts rallied behind Labour in the weeks before last year’s election, helping supportive messages to reach millions of voters and denigrating its Conservative rivals. Many of the Russian accounts can clearly be identified as internet robots — known as bots — that masqueraded under female English names but were in fact mass-produced to bombard the public with orchestrated political messages. • Helped Corbyn turn the Manchester Arena bombing into a campaigning point by amplifying tweets criticising May for cutting police numbers while she had been home secretary. I guess the Tories' Russian donors'll be putting in even more cash now that the Times has categorically shown, without doubt and with absolute certainty and with the finest objective investigative reporting, that they may as well have poured their money into the Don (no, not him) for all the influence it had on the election (though it's still working well in the City I believe). кто-нибудь для тенниса? WGS, I believe you are confusing Russian nationals, who may well contribute to political parties (though I believe donations above a certain amount have to be declared) and the Russian 'state' interfering in the democratic process? #765 How's that war thingy-jig going then? No confusion here. The confusion's with those readers of the Times who've failed to notice that the erstwhile newspaper's 'investigative journalists' and 'academics' from Swansea together haven't provided a shred of evidence linking the 'Russian State' and Corbyn. If the Times seriously wants 'to investigate fully the true scale of Russian meddling in British politics' then it really ought to look at the oligarchical loot bursting the Tory coffers. The link between Corbyn and Russia is obvious. If you, add some letters to Corbyn and take some others away it clearly spells: RUSSIA. Excellent news. We can save over £1 billion a year by scrapping our various security departments and rely on a couple of hacks and 'academics' from the former Swansea Polytechnic to assess any threat from Russia. have the labour party instaled mandatory reselection yet ?? Don't discount dementia or just good-old senility correcting your neurological issues in the future, oh Captain, my Captain. Time for Jezza to put his hands up and admit he is an electoral liability. Governments always get a pasting in mid term polls but this administration that seems to run like a carry on film survived intact. Let's have a leader the general public can relate to. Best £18 I ever spent! #776. bleeding tight wad should have made it £50. £3 does not divide into 50? #778, depends how you work it. #778, Diane Abbott would manage it.